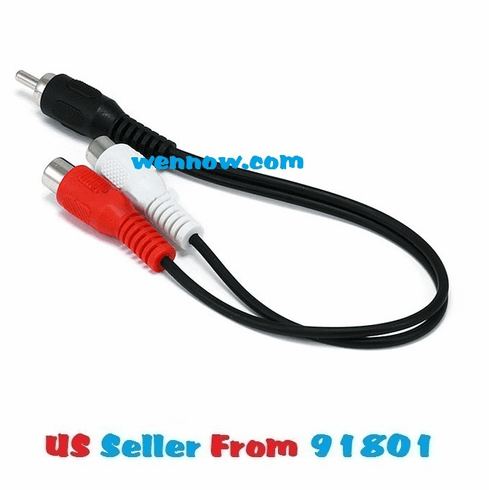 Y splitter cable for connecting one monaural audio source to two monaural inputs. Use a pair for stereo connections. 6 inches long on each side.